TRIBECA — When Soho Photo Gallery first opened its doors 40 years ago, photography was not the respected art form it is today. Professional shutterbugs found it almost impossible to show their work in a gallery, especially if they were not yet established in the city's art scene. "Photography was kind of a stepchild," recalled David Chalk, 67, one of the gallery's founding members. Chalk, Lee Romero and several other New York Times photographers set out to change that, opening what has become the oldest member-run photo gallery in the city. 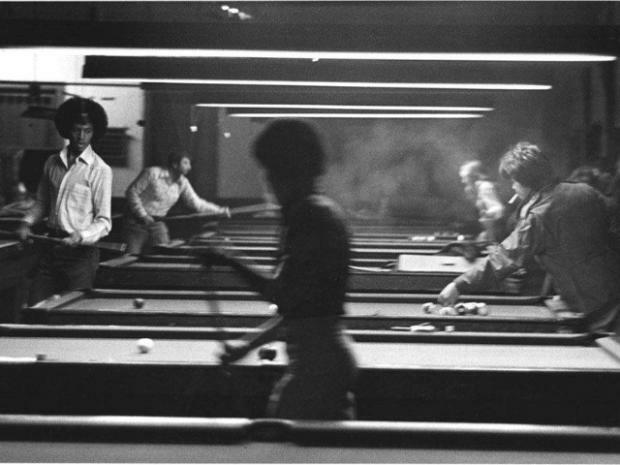 To mark the 40th anniversary of its opening, the gallery is exhibiting work by seven of its founding members this month, including striking 1970s black-and-white shots taken all over New York, from the Staten Island Ferry to a downtown pool hall. The gallery originally started in a rented space at West Broadway and Prince Street, and then it moved up to West 13th street for a few years, before the founders relocated the gallery to its final home on White Street in TriBeCa 30 years ago. The first-floor loft space was once part of an egg and poultry warehouse. It was a mess when the photographers took it over, with holes in the floor and grime coating every surface. But all the members pitched in to clean it up, doing the plumbing, carpentry and electrical work themselves, then spackling and painting the walls, Chalk said. The community that formed about the gallery was one of the things that has helped it survive, said Harvey Stein, another founding member. "It's a lonely endeavor, in a way," Stein said of photography. "You're shooting, you're in a darkroom, you're at a computer. It's nice to meet other people and discuss the context of your work.... It was a source of community and almost family." Chalk recalled that a member of the gallery who lost his apartment once lived in the back of the space for about a year, with the support of the other members who wanted to make sure he had a roof over his head. The gallery is funded entirely by membership fees, which is a very different model from the more common commercial galleries, which rely on sales. "There's no other place like it in New York," Stein said. "This is for everybody." Soho Photo Gallery will hold a panel discussion with six of the founding members Thursday at 7 p.m. The gallery at 15 White St. is open Wednesday through Sunday from 1 p.m. to 6 p.m., and the 40th anniversary show will run through April 30.